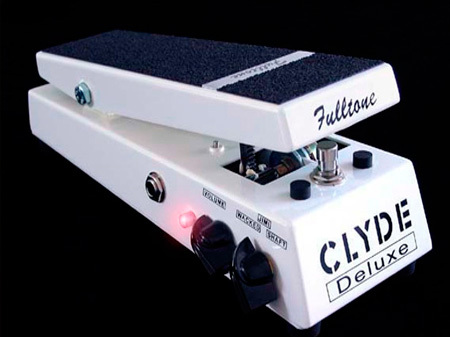 Fulltone pedals may be some of the best effects pedals around. But these are expensive so is the clyde wah worth the money? 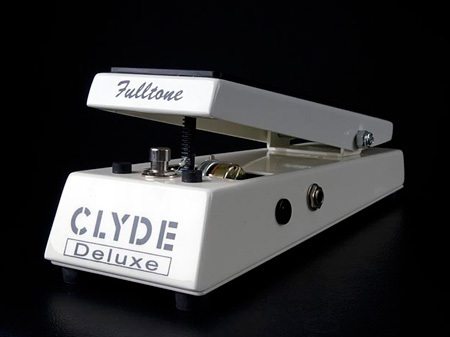 How does the Clyde Wah sound? and why this wah wah pedal? Check this review to find out. I use wah wah pedals a lot. Actually that is an understatement. There is no effect I use more than a wah pedal. As you can imagine I have a few, and this one I bought while on vacation in sunny LA a few years ago. I first saw Robin Trower using one of these a while back and really liked the sound that Robin achieved from his, so I went ahead and bought one. The first thing about this pedal is that it was not cheap - it was expensive in my view for a wah wah. But I suppose like everything you usually get what you pay for - and it has a number of extras on it that make it more worthwhile, such as three settings from 'whacked out' wah through a sort of 'Shaft' style and on to all out Hendrix. Nice. The pedal is controlled by the usual battery, or you can plug in a wall wart (it is sold separately). The unit has a light on to show when its engaged or otherwise and best of all this product uses a hand-wound MuMetal shielded Fulltone 500mH inductor which sounds to my ears like a good early wah of the end of the 60's - and I should know, I was there! Mine is in a cream off white and looks cool but I believe the newer ones are in black. I like the cream one. The build quality of this wah pedal is superb as is the resultant sounds. I don't like the 'shaft' sound, but everything else makes this one of my most used pedals of recent times. Typical price (if I remember right was $270.00 or £210.00 pounds as per review date so it's not a cheap device, but it will last you a long time. If you like Robin Trower wah (like Jimi Hendrix in many ways) then you will like this pedal too. I rate this as a 10 out of 10 and there is not much that passes my hands with that rating. The price was a little off-putting, but overall the unit is worth the money. This review is currently being updated so please check the news page where I'll confirm what has been completed.